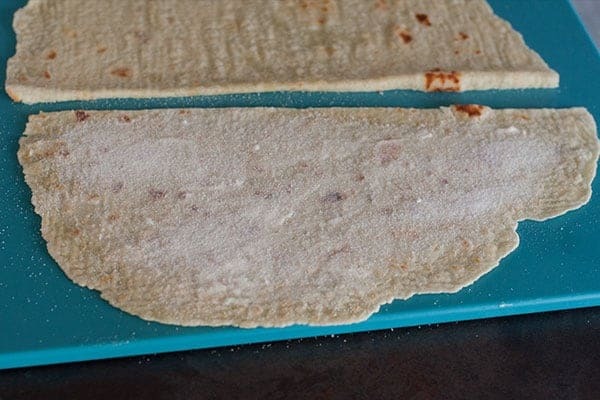 Learn how to make lefse, a traditional Norwegian flatbread. Made with potatoes, grilled and served with butter and sugar. 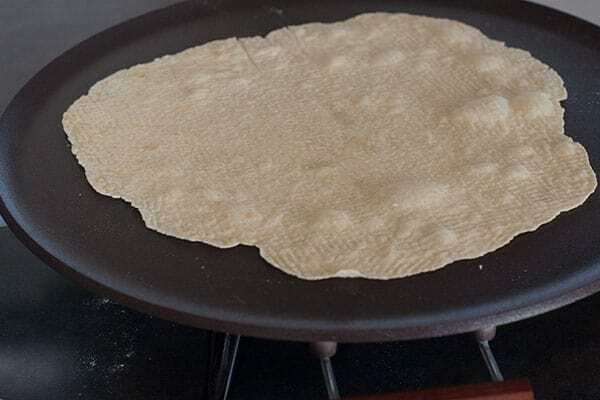 Learn how to make lefse with 2 different recipes – traditional and instant along with a list of needed supplies. Welcome! This post is the heart of why I wanted to start this blog. To share family recipes and traditions. Norwegian baking is a tradition in our family. And lefse is a must-have at our holiday table. At the very least Thanksgiving and Christmas. Typically paired with homemade buns. 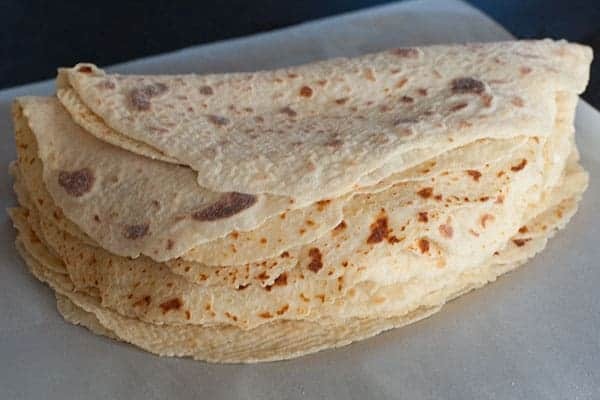 I’ve included two different lefse recipes in this post. I’m showing the instant version of making the dough. 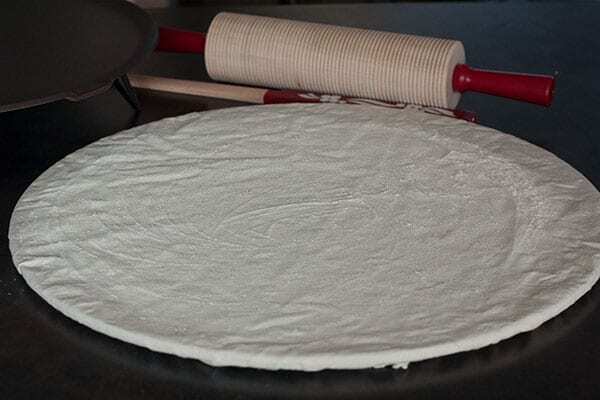 The process for rolling and grilling the lefse is the same for both the traditional and instant recipes. Here are the supplies you need to make lefse. You can find a lefse starter kit from Bethany Housewares which is pretty awesome to have all the supplies bundled together and a great gift idea. 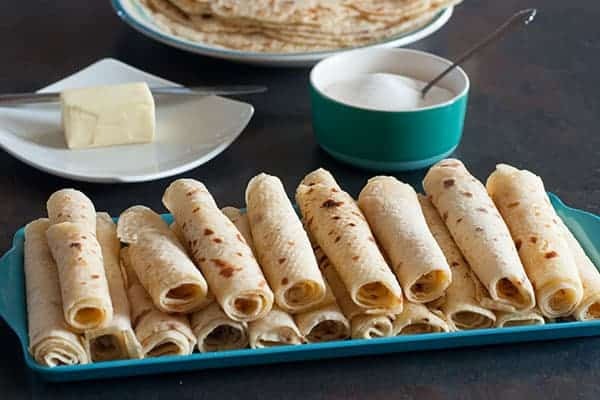 You’ll want to set aside an afternoon or evening to make lefse. We normally get together with other family members for a “lefse party.” And sometimes we’ll make both the traditional and instant versions. 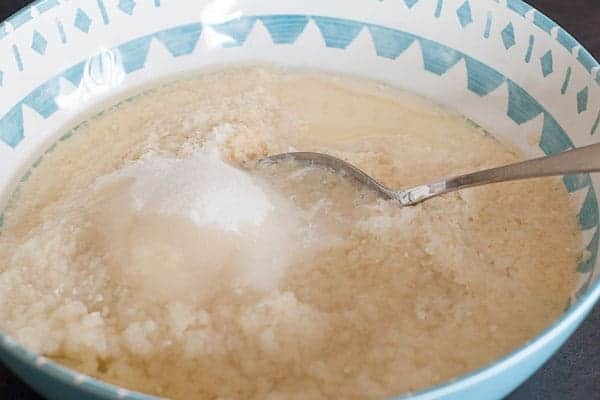 In a large bowl, add the potato flakes, salt, sugar, 7up, water, evaporated milk and oil. Make sure the 7up, water, and evaporated milk are cold. Add 2 cups of flour. Roll the dough into balls and chill in the refrigerator. Preheat the lefse griddle to 350 degrees. (May depend on your grill.) Pull only one ball of dough from the refrigerator at a time. 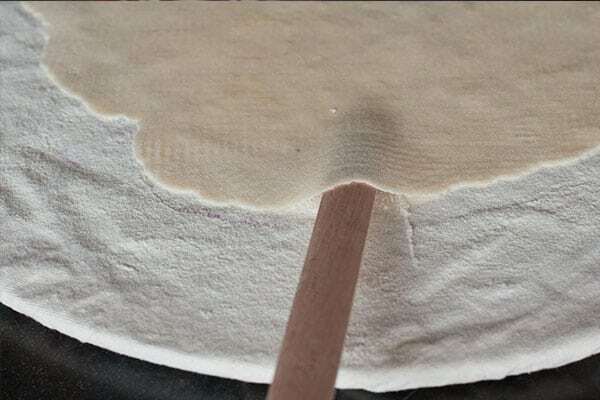 Make sure the surface of the pastry board is well-floured. Then form your dough as pictured. 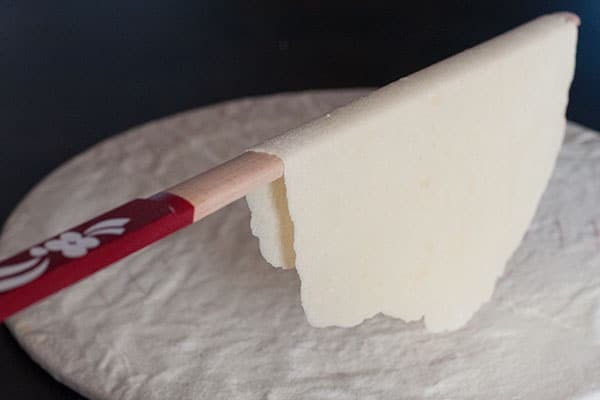 Using the lefse stick, carefully pick up the rolled lefse dough as shown. 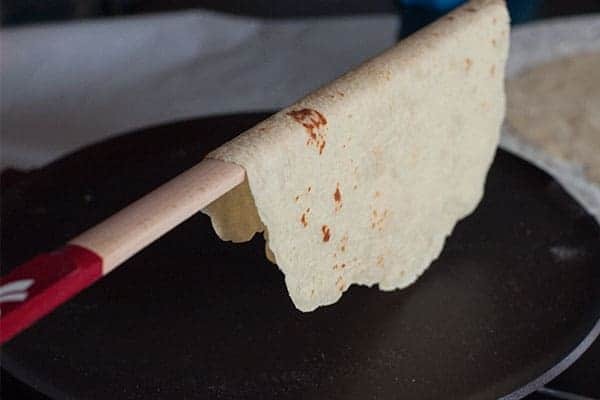 Carefully place the lefse on the grill and slowly turn the stick to unravel the other half. Grill on one side for a few minutes. The dough will start to bubble. Flip and cook the other side for a few minutes. Slice the rounds in half prior to serving. Spread with butter and sugar. Please stop by and say hi in the comments. 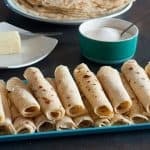 Have you made lefse? 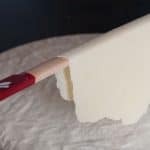 Lefse pros, what tips do you have that I didn’t mention? 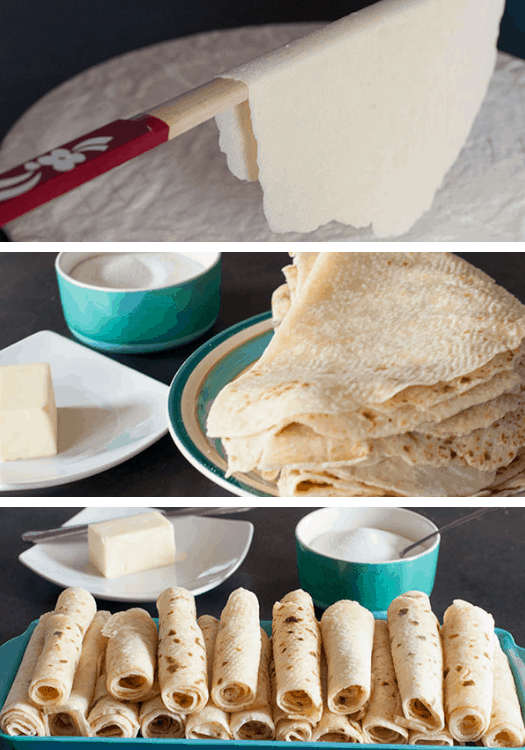 An easy way to make lefse with instant potato flakes. Just as yummy. Spread with butter, sugar, roll-up and enjoy! 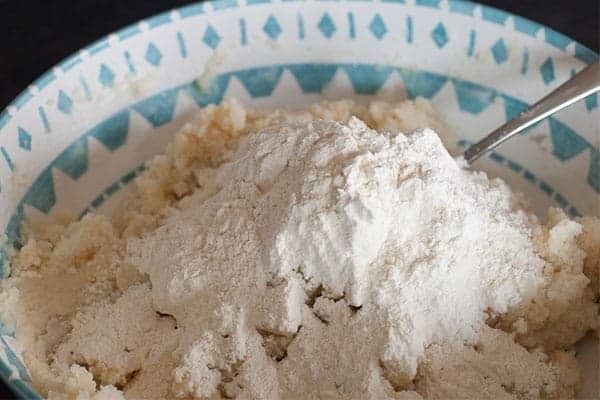 In a large bowl, mix the potato flakes, salt, sugar, 7up, water, evaporated milk and oil. 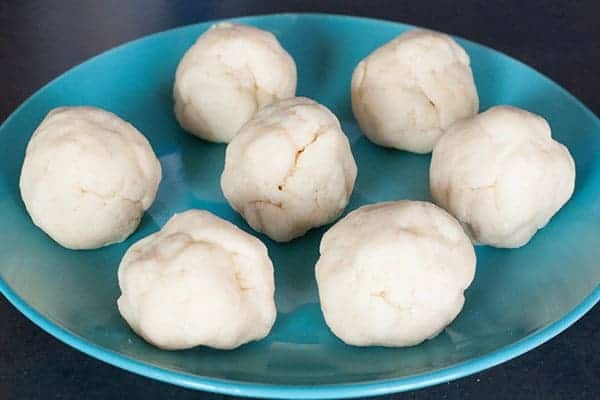 Pull only one ball of dough from the refrigerator at a time. 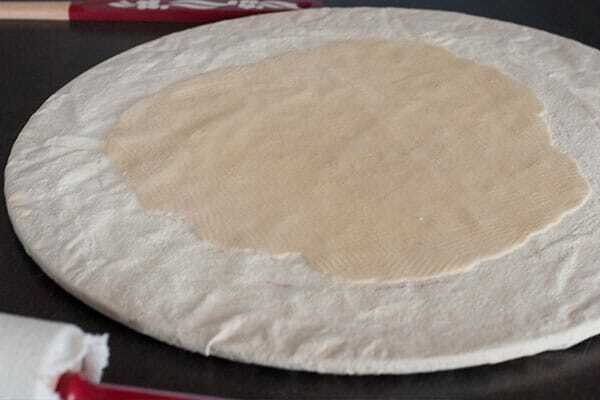 On a floured pastry board, roll the dough to about 12 inches in diameter. Place the rolled dough on the griddle. When you’re ready to serve — spread with butter, sugar, roll-up and enjoy! Make sure your 7Up and evaporated milk are cold. A traditional lefse recipe, Norwegian potato flat bread. Spread with butter, sugar, roll-up and enjoy. Boil 2.5 pounds of potatoes until they fall apart and yield 5 cups. Drain the potatoes, you don’t want any water. 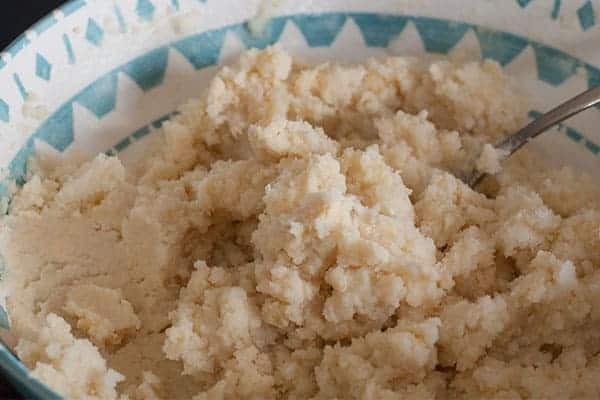 Mash the potatoes with a beater. Add cream, shortening, sugar, and salt to hot potatoes. Cool thoroughly and then add the flour. I absolutely LOVE lefse! 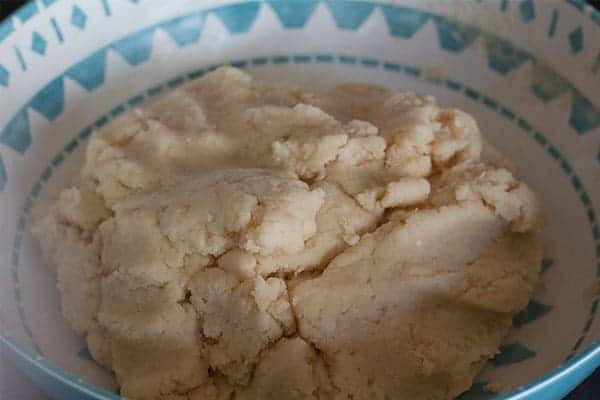 It brings back wonderful childhood memories of my great grandmother making it throughout the year. This recipe is so good! Now I just need to figure out how to actually make them round…or at least to resemble a circle. You would think having Norwegian grandparents on both sides Norwegian cooking would come naturally, but sadly it doesn’t. Thanks for the great recipe and hints! My favorite kind of recipe – one that brings back warm memories. It’s so awesome that lefse brings back wonderful memories of your great grandmother. And it’s fun to know that she made it throughout the year, while for us it is more of a holiday treat. Both sets of grandparents on my side are Norwegian too, while my husband’s heritage is German/Russian. I also have some perfecting to do in making them round. Haha! But they still taste great in any shape. 🙂 Thank you so much for stopping Tami and leaving a message! I am 100% Norwegian-American and have been baking lefse for almost 50 years. I learned from my mother and she learned from my grandmother. 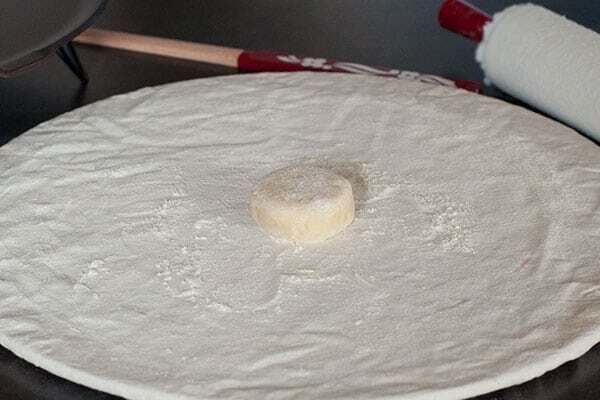 To get a really round lefse, we always flatten the balls out and true up the edges with our hands before starting to roll out. 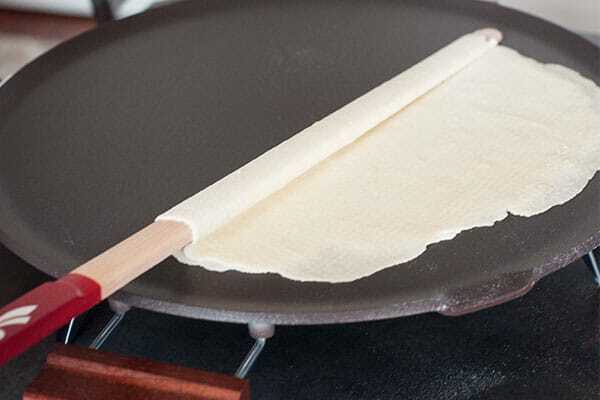 Also reshape slightly as you roll out – every time you flip your lefse during rolling out. 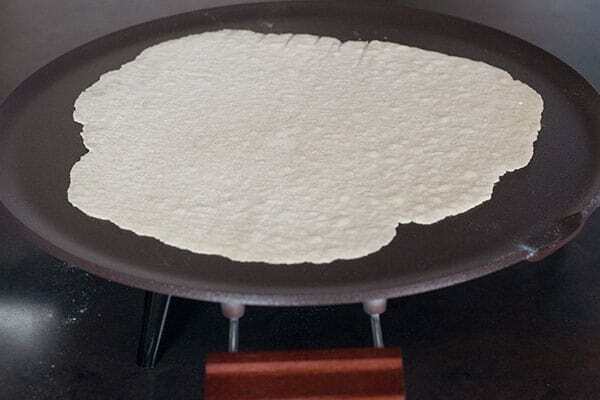 It takes a bit longer but worth it if you are looking for that perfect looking lefse. The imperfect lefse taste just as wonderful! Hi Kathy, I’ll definitely have to try these tips next time! Thank you! So great that you’ve been making lefse for almost 50 years. And any chance you’re from the North Dakota / Minnesota area since you are 100% Norwegian-American? 🙂 Thanks for taking the time to leave a message. When my brother lived in Minnesota, he gave us a lefse kit as a Christmas present. We are of german & polish lineage, so we had fun but had no clue what we were doing. I like your pictures. I think the biggest thing is to try it on a griddle. We only had a frying pan the first time and it made a smoky mess. It still tasted good. How fun! Haha. Glad it still tasted good. I think the griddle would help a lot. And keeping the dough cold until you’re ready to roll it. I bet you have some great German/Polish recipes. My husband’s heritage is German/Russian. But unfortunately we don’t have too many family recipes from his side. Thanks for stopping!